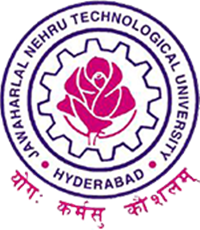 Sub: JNTUH – Exam Branch – Postponement and Rescheduling of Onetime chance Examinations scheduled on 06-04-2019 to 13-04-2019 Intimation -Reg. It is here by informed that University Onetime chance Examinations scheduled on 06-04-2019 to 13-04-2019 are postponed due to parliament elections and rescheduled as mentioned below. Your are requested to communicate the information to the students immediately, your cooperation is highly solicited.